Whatever your Southeast Texas-based business requires, we work hard to find the right solutions and pair you with the right services. We take time to listen to your specific circumstances and understand your business because one-size-fits-all answers don't fit you. 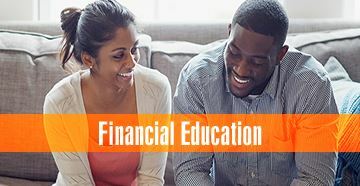 Trudy Johnson brings over 28 years of banking experience to Education First Federal Credit Union (EFFCU). Her expertise has been mainly in commercial/small business lending, but also includes branch management, operations, compliance conversion and documentation management. Prior to joining EFFCU in 2015, Trudy worked as VP of Commercial Lending with a local financial institution. Her banking career began in Beaumont and continued on when she moved to Houston Texas in 1983. She returned to Beaumont in 1999 and continues to help Small Business owners achieve their financial goals here at EFFCU. During her career Trudy has attended Texas Bankers Association Lending School, numerous professional conferences regarding best lending practices, including the 2015 National Credit Union Business Services Conference. In 2005 Trudy became a member of the the Small Business Alliance Millionaire’s Club when she closed a loan that brought a new medical facility to Beaumont and 20 new jobs to the area. Trudy is an active member of the local chamber of commerce, a 2002 graduate of Leadership Beaumont (serving as Chairman in 2010), and the recipient of the Distinguished Leadership Award in 2008. Trudy serves on the Board of Directors for the Garth House, holding various positions, including President. She was appointed as a Child Advocate for CASA in the court of The Honorable Judge Larry Thorne, and served as Treasurer of the organization for four years. Here at EFFCU, Trudy supports our Volunteer Investment Program (VIP) program and enjoys volunteering with her co-workers for worthy civic causes. Trudy has been married 34 years and is the proud parent of two children.